O’Bryant is the leader of a team of scientists who have spent the last decade developing and refining a serum protein-based blood test. It is hoped that the screening tool can be used to identify neurological disease through a simple, inexpensive procedure conducted during a patient’s standard annual physical. 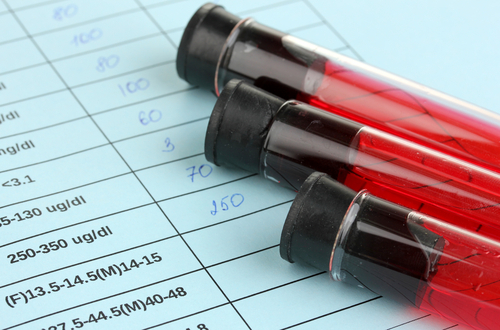 A blood test would be more objective than patients identifying memory concerns. “When you consider the average length of time [for an annual exam] is 18 minutes, even brief cognitive assessments are difficult to fit into that,” said O’Bryant. “At the annual exam, when people are getting their normal blood work, this blood test can be added to it. It doesn’t change the physician’s or the patient’s time.” Currently, O’Bryant is waiting on a potential $6 million from the National Institutes of Health to continue studying the test in 3,000 patients in the Fort Worth area. Although it may be a long way off until a predictive blood test for Alzheimer’s is available to the public, Dr. Diana Kerwin, director of Texas Alzheimer’s and Memory Disorders, said, “This is a good step to say that this might be used to identify someone at higher risk that we might enroll in therapy or give medication [during clinical trials].” However, some individuals, such as Barrie Page Hill of Arlington, Texas, would be hesitant to use predictive tests in doctor’s offices. As the daughter and caretaker of Bobbie Wilburn, who was diagnosed with Alzheimer’s six years ago, Hill stated, “For some families, it might be helpful to know what is up ahead. Do I want to know right now? Honestly, probably not. I’m dealing with all I can deal with. I’m caring for my mom. I wouldn’t want to worry about me.” But on the other hand, Hill does recognize that the study is “incredible” in that it could help people prepare for the disease.